Hi all! About an hour ago I flew into Orgrimmar and found that NO one was waiting for the spectral egg to spawn, so I parked myself there and began the wait. Then at roughly 9:48 realm time, Khadgar server, the egg spawned and I tamed the raptor...I love this pet already! I was amazed....and grateful that the other two hunters who came to wait after me let me have him! Thought I'd include the time I got him so those of you who still want him will have a rough idea of when he might pop up next..and good luck! I find that I get more comments about Gon from other players than I do about the spectral gryphon, even though I don't see many hunters with the gryphon, especially Horde hunters. Congratulations on your new companion. What sort of timer is that egg on? I don't know if I have the patience to camp him, but he is most definitely attractive. 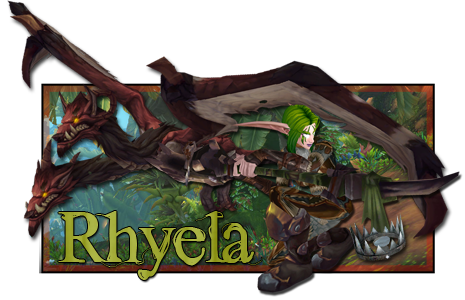 Oh, and I suspect the "more comments about Gon" than the gryphon might be because, well, gryphons are so.. Alliance? I don't know, it's a guess. While I find the gryphon very pretty, I don't find it appealing as a companion because it has too many associations with Alliance for me. 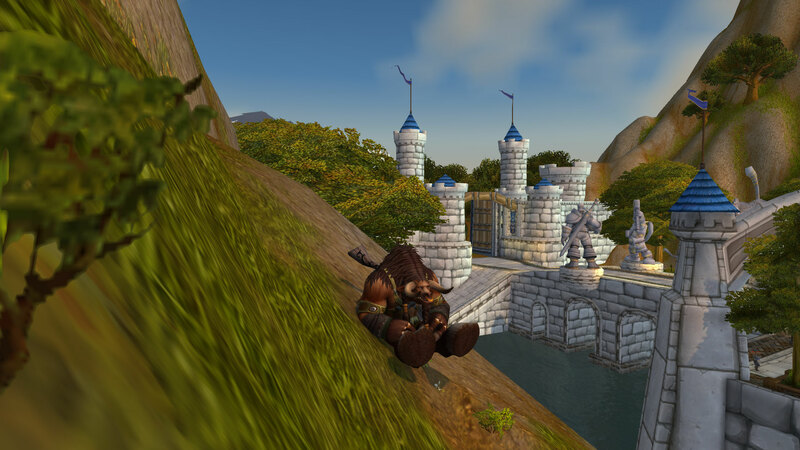 While I'm sure it varies by server, I was actually able to wait on the hill just above the lake in Stormwind on my Tauren hunter without getting attacked. When I was trying to get Gon, I didn't bother the Alliance hunters I'd see there camping for him. Congrats! I tamed the Lost Spectral Gryphon this morning and Gon last week. Remember - if you have a hard time finding them, you can always aim for restarts, which is what I did. Be the first to log on (you have to be on your game in the logging in, if it fails, try again, etc.) and the egg/feather will be up. If anything, I'd suggest trying that for the opposite faction one. I myself also leave opposing faction hunters alone if they are waiting for a pet too. It's only right. I'd want to be treated the same you know? Fellow hunters aren't a problem. It's the damn alliance Demon Hunters and Deathknights siting on the nest waiting for any horde hunters to show up. I don't know how so many 110 DHs/DKs have so much free time as to be sitting there so often. There was a survival hunter and some human male paladins near it on MG. I really don't know what it is with human dude paladins that they see everything in life as a nail. Maybe it is because the light gave them a hammer. 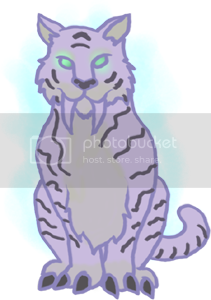 Sofia, the remarkably purple spirit cat as drawn by Ket Shi. http://flightrising.com/main.php?p=lair ... e&id=50139 - Dragon Lair at flight rising! Obviously, it's gonna vary by server, but SW was pretty quiet when I hung around looking for the gryphon feather. Fortunately, aside from the occasional Alliance hunter camping and Whatshisname Jaxon patrolling around, there wasn't really anyone around most of the time. I just sat quietly on the hillside by the lake. Honestly, I think most folks heading to/from the flight master are in tunnel vision mode and don't even look off to the side.